This book considers the design and implementation of metrics in service organizations using industry standard frameworks. It uses the ITIL process structure and many principles from the ITIL and ISO20000 (BS15000) as a basis. It is a general guide to the use of metrics as a mechanism to control and steer IT service organizations. A major reason for covering this topic is that many organizations have found it very difficult to use metrics properly. This book will deal with the causes of the difficulties to implementing metrics and will present workable solutions. 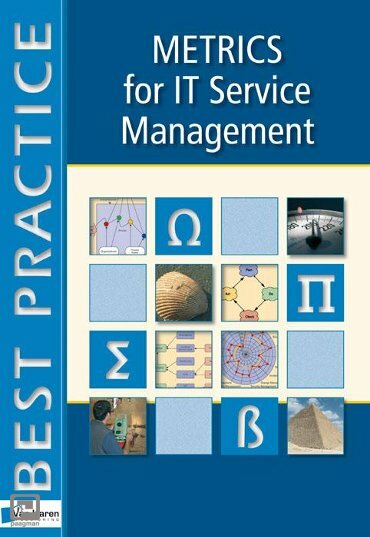 It provides a general guide to the design, implementation and use of metrics as a mechanism to control and steer IT service organizations. 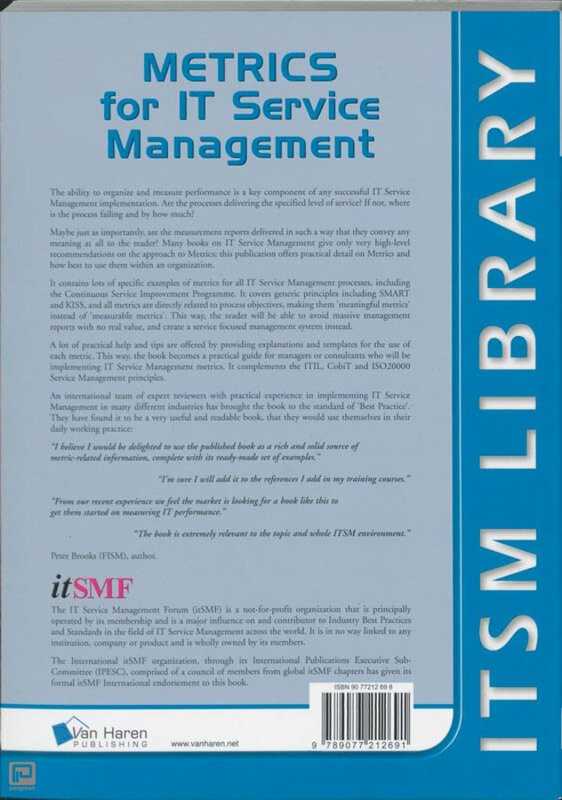 It also provides specific recommendations for applying metrics across the ITIL, ISO20000 (BS15000) and other processes, discussing the rationale of the recommendations. This enables an organization to implement the metrics as described directly as a first-pass solution that can be benchmarked against other organizations. But they can also be used as a starting point for customizing particular metrics. Badly designed metrics can be actively harmful to an organization's proper functioning. Producing a set of metrics that avoids the pitfalls and delivers genuine value is not easy. This book will make that task much simpler and less error prone.